Photos The NASCAR Playoffs drivers turned Las Vegas Boulevard into Burnout Boulevard Fueled by Sunoco on Thursday afternoon, thrilling the crowd with celebratory burnouts up and down the famed Vegas Strip. The drivers were getting the fans pumped up for the NASCAR Playoffs opener in the Monster Energy NASCAR Cup Series on Sunday at 3 p.m. ET (with coverage on NBCSN, PRN, SiriusXM NASCAR Radio). Check out some of the burnouts that were televised on NBCSN in the video above — and one below — to see which one is your favorite. The post Playoff Drivers Burn Rubber appeared first on MRN - Motor Racing Network. The NASCAR Playoffs drivers turned Las Vegas Boulevard into Burnout Boulevard Fueled by Sunoco on Thursday afternoon, thrilling the crowd with celebratory burnouts up and down the famed Vegas Strip. The drivers were getting the fans pumped up for the NASCAR Playoffs opener in the Monster Energy NASCAR Cup Series on Sunday at 3 p.m. 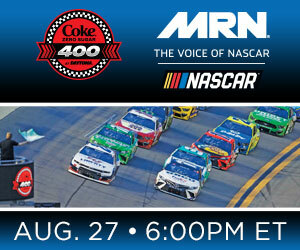 ET (with coverage on NBCSN, PRN, SiriusXM NASCAR Radio). Check out some of the burnouts that were televised on NBCSN in the video above — and one below — to see which one is your favorite. The post Playoff Drivers Burn Rubber appeared first on MRN – Motor Racing Network.